With the core values of “Happy life, Geely drive”, Geely sticks to the road of independent innovation, bring team wisdom into play and rely on all staff to achieve the magnificent goal of ‘making the safest, most environmentally friendly, and most energy efficient cars for the whole world’. Strictly adhering to contemporary design, safety and quality standards, Geely cars are built for today’s discerning customers. All Geely models are designed to be driven comfortably and responsively and are packed with practical features giving priority to passenger comfort and lasting value. With a remarkable nationwide after-sales service network, Geely offers affordable practicality and low running costs. 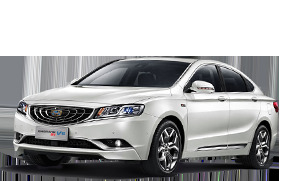 Geely entered the automobile industry and became the first private automobile manufacturing enterprise in China. Geely made a successful acquisition of the world second largest automatic transmission company – Australian Drivetrain System International Pty Ltd (DSI).